Life Ionizer MXL-5 Super Review: Is It Better Than Kangen? Welcome to today’s alkaline water machine review! Today, I share with you my Life Ionizer MXL-5 Alkaline Water Ionizer review. Life Ionizers released its latest series of ionizers – the MXL series – in 2019, and they’re already making a splash. The MXL series comes packed with some neat and exciting upgrades. The MXL-5 is the most affordable ionizer in Life’s new lineup, but that doesn’t mean it’s any less powerful than other ionizers in its class. In fact, I think it’s in the conversation for best budget water ionizer of 2019. I previously reviewed the MXL-15, which is Life’s most powerful water ionizer and the most powerful ionizer commercially available for home use. Let’s see how the MXL-5 stacks up against the competition. By the end, you’ll know for sure if the MXL-5 is perfect for you. Is it better than a Tyent ionizer? Should you save $1,000s of dollars and purchase the MXL-5 over a similar Kangen Water machine? All your questions will be answered, but first, let’s check out the key features of the MXL-5. When you order your MXL-5, Life Ionizers will pull your EPA-registered local water report to ensure you’re getting the best filter for your area. Every year, local water authorities must send a water report to the EPA, and this is how Life Ionizers stays up to date with your particular filtration needs. Life also had its filters tested by an independent lab, and all contaminants were reduced to undetectable levels. You can click here to see the lab test results for yourself. Life also offers you an option for fluoride removal. The dual filters contain Vitamin C Ceramic Block® to reduce chlorine & chloramines, activated carbon, and KDF (Kinetic Degradation Fluxion, a blend of ultra-pure zinc & copper) to eliminate VOCs and heavy metals. Overall, I’m impressed with the contents of Life Ionizers’ filters and the fact they back up their word with lab test results. AlkaViva, Tyent, and Life Ionizers impress me the most with their filters. If you live in an area with super hard water, you may want to install an affordable whole house filter to prolong the life of your ionizer filters and avoid any hard water buildup inside the machine. Installation of Life’s countertop water ionizers is straightforward, and most people should be able to have their ionizers up and running in thirty minutes or less. The hardest part is cutting the water hoses to the correct length for your kitchen. The video below produced by Life Ionizers is for one of their older models, however, it does show you exactly how easy it is to install a countertop ionizer. The only difference is the new MXL series has a slightly different shape and look than the older models. I wanted to include this section because I see a lot of talk online about how only Kangen Water machines are legit and medical grade, and in my humble opinion, these “reviews” can be slanderous. 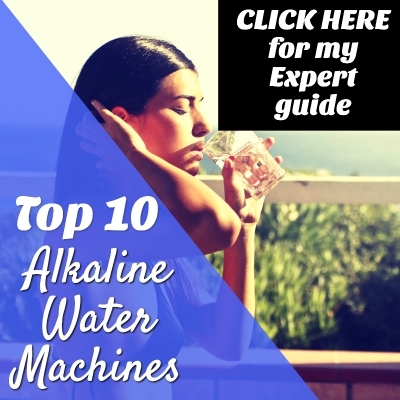 I’ve personally done a lot of research on alkaline ionized water and have spent countless hours researching the top water ionizer companies. Through my research, I’ve concluded Life Ionizers is a legit company. I’m not some random guy who stumbled out of a perpetual solo pub crawl. I earned a bachelor’s degree at Clemson University and rode the Dean’s List (made mom proud). I’m not saying this to toot my own horn, only to assure you that I have at least some idea of what I’m looking at when I conduct my research. Life Ionizers manufactures its machines in Korea in an ISO-certified facility. Only South Korea and Japan have organizations that certify alkaline water machines as medical devices. In the United States, the FDA has yet to complete its evaluation of alkaline ionized water, which means South Korea and Japan are as good as it gets. It’s always important to check out what current owners of an alkaline water machine are saying before diving into buying one yourself. One woman reported “more energy” and “clarity” once she began drinking alkaline ionized water from a Life Ionizer. One of the benefits people forget about when purchasing an ionizer is the usefulness of the acidic water as well. Acidic water can save you a lot of money on household cleaning products and help you avoid bringing chemicals into your home. A mother reported that she drank alkaline water while pregnant, and the doctors were impressed by her numbers. She also reported higher levels of energy and how acidic water from the machine helped her clear an acne breakout. Another owner said her pets love alkaline water. I’ve seen a lot of reports like this one by pet owners, especially by people who have been able to get their cats to drink more water. One father reported that his family of three has significantly increased their water intake since bringing an MXL ionizer into their home. They’re up to 5 gallons per week. There are numerous praises written about the Life customer service team. One woman reported a reversal of her GERD (gastroesophageal reflux disease), and her husband has been able to better digest foods he couldn’t before. Click Here if you’re ready to start your alkaline water healing journey with the MXL-5 ionizer. Overall, I really like what I see in the MXL-5 unit by Life. I think it’s definitely in the conversation for best budget water ionizer in 2019 along with AlkaViva’s Melody II. What I like most about the MXL-5 is it comes with all the same features as the flagship MXL-15 for $1,000s less. The biggest difference between the MXL-5 and MXL-15 is the number of platinum-coated titanium plates. The plates are the most expensive part of any water ionizer, which is the reason you pay $1000s more for the massive 15-plate MXL-15. If you’re a single person, a couple, or a small family, the MXL-5 will definitely get the job done for you. It’s a great first water ionizer to introduce you to the amazing health benefits of drinking alkaline ionized water. Plus, you get automatic molecular hydrogen infusion with this ionizer. Enagic Kangen brand charges a ridiculous price for this same technology. And get this, Life gives you a longer warranty period on both parts and labor than the much more expensive Enagic brand. Bottom line is you can buy the MXL-5 with confidence you’re putting your money into a legit water ionizer being sold by one of the leaders in the water ionizer industry. Considering Life just released its new 2019 models, you’ll be ahead of the ball for years to come. Cheers to you and your family’s health!